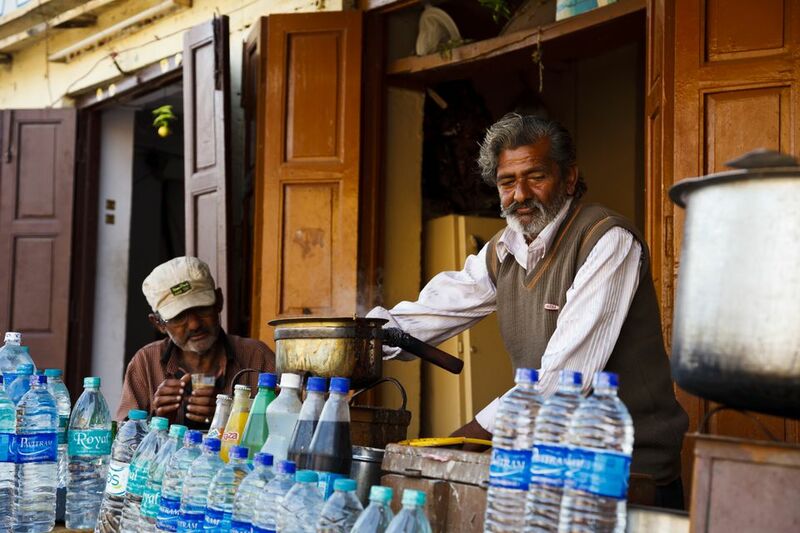 Unfortunately sanitation and hygiene are lacking in India, and can be the cause of illness for visitors, especially those who unwittingly drink contaminated water or eat contaminated food. Some adjustments are required while traveling in India. The following information will help with staying healthy in India. Most of India's tap water is unfit for consumption. Restaurants will offer treated drinking water, but it’s advisable for visitors to always drink bottled water. Bottled water in India comes in two types -- packaged drinking water, and pure mineral water such as the Himalayan brand. There is a difference between them. Packaged drinking water is water that has been treated and made healthy for drinking, while mineral water has been obtained naturally at its underground source and hygienically bottled. Both are safe to drink, although mineral water is better as it's chemical free, plus the quality of treated drinking water varies. Diarrhea is a common health issue for people visiting India and food is often the cause. It’s important to be careful about how it’s stored, cooked, and served. If you have a sensitive stomach, avoid buffets and only eat freshly cooked food that’s served hot. A sign of a good restaurant is one that’s consistently filled with people. Be careful of eating washed salads, fresh fruit juice (which may be mixed with water), and ice. Many people also choose not to eat meat while in India, and instead prefer to take advantage of the wide range of vegetarian dishes on offer throughout the country. Meat eaters should avoid food from cheap restaurants and railway station vendors. If you do like street food, monsoon season isn't the time to indulge as contamination of water and vegetables increases. India’s growing population and increasing levels of consumption have given rise to significant waste management issues. Thousands of tons of garbage are produced in India’s major cities each day and the amount of trash laying around is often shocking to visitors. The lack of garbage bins contributes a lot to the problem. Visitors should watch where they walk and, where possible, keep their trash until they find an appropriate place to dispose of it. Pollution is also a big problem in India, especially in the major cities where air quality is very low. The issue is at its worst during winter because of the atmosphere, particularly in cities such as Delhi, Kolkata, and Mumbai. People with respiratory conditions, such as asthma, need to be particularly careful and should always carry medication. Unfortunately one of India’s major problems is its severe lack of public toilets, which is blamed for the common sight of men relieving themselves on the side of the street. In addition, the public toilets that are provided are usually dirty and not well maintained, and many of them are the “squat” variety. If you do need to go to the toilet, it’s best to head to a restaurant or hotel and use the facilities there. Make sure you bring antibacterial hand-wipes with you. You'll find that they're useful in range of situations including cleaning your hands before eating, well as when using the bathroom. When buying bottled water, make sure the seal is intact. People are known to re-use empty water bottles and fill them with tap water. It can also be helpful to take Acidophilus supplements and eat lots of yogurt, to line the stomach and intestines with “good” bacteria.